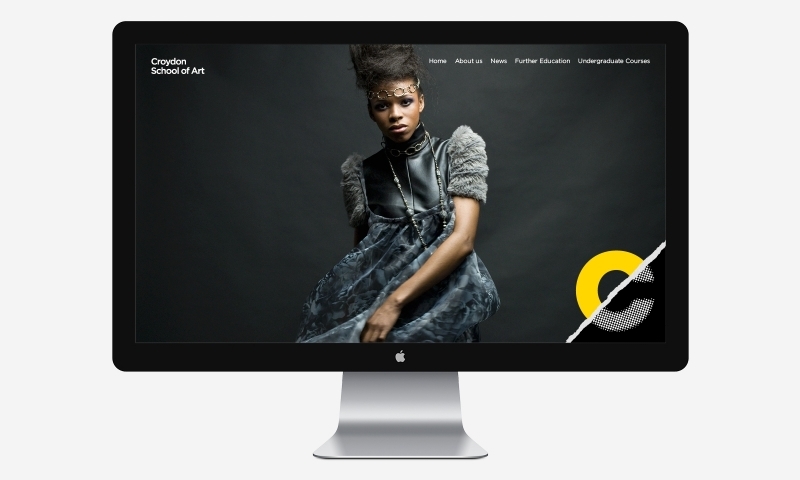 Croydon School of Art was relaunched last Friday with a drinks reception and fashion show. The relaunch also features a new brand identity designed by us. Guest of honour at the event was fashion designer John Rocha, who is an alumni of CSA. Other famous alumni include Helen Chadwick, Ray Davies, Noel Fielding, Malcolm McLaren and Jamie Reid. Past teaching staff include Derek Boshier and Bridget Riley. The brand identity system is centred around a tear device, a concept that aims to reflect the School of Art past and present – acknowledging its credible heritage, while moving confidently forward. The brand identity is influenced by past connections such as Op Art (Bridget Riley) and a punk/situationist aesthetic (Malcolm McLaren / Jamie Reid), while positioning CSA at the contemporary cutting edge of modern Art & Design Education. The tear device is also intended to reflect the creative process and allows the brand identity flexibility. Used creatively it can reveal colours or imagery, combining layers to create designs that are unexpected or relevant to particular courses, or aspects of college life. It also creates a dynamic urban identity that is true to the College’s central Croydon location. 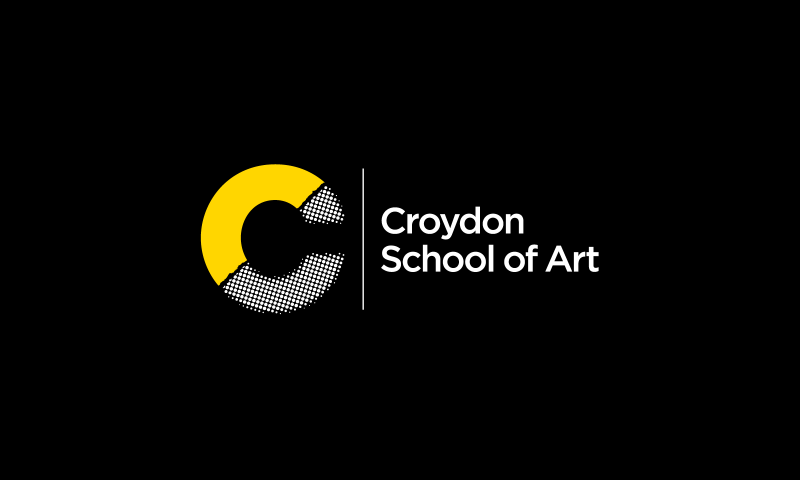 The Croydon School of Art brand identity is the latest in a line of projects for Croydon College, including last years brand identity for University Centre Croydon.